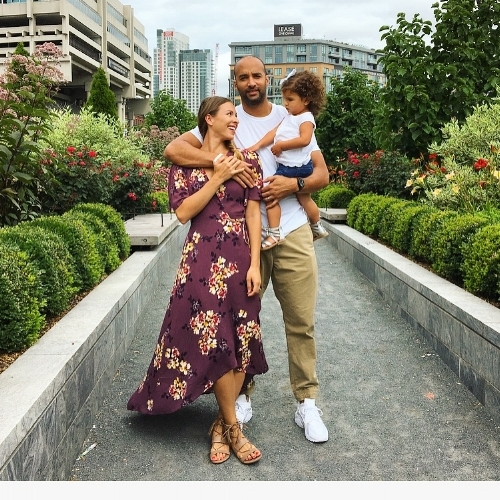 The beginning of this fall felt different for us as a family because London started school! It was really fun to do all of the "back to school" things with her like pick out a backpack, fill it with supplies and buy new school shoes! Since she's now officially beginning her educational journey, it also got us thinking about more ways we can save and prepare for her future. Yes, we're already looking ahead to saving for college because it’s never too early to start saving when it comes to your kids! Anyone who knows me at all knows that I'm a planner so I'm sure this does not come as a shock! 1. Embark on a "kid-friendly walking tour." There are so many historical sites around Boston! Get some exercise and fresh air with your kiddos while learning more about our amazing city! These educational walks are sure to keep their curious little minds entertained! 2. Grab a cup of hot cocoa and take a "foliage walk." There's nothing more stunning than fall in New England - and what better way to enjoy all that it has to offer than a walk through Arnold Arboretum! If you're feeling extra motivated, plan a scavenger hunt and bring a bucket to collect the items on your list. 3. Visit the Boston Public Market. There is so much to look at in this market! Choose one special ingredient to try, and have a picnic on the scenic Rose Kennedy Greenway. We love to grab a few donuts and iced coffees before finding a spot on the Greenway while we watch London explore. This is one of our favorite weekend family activities! 4. Nothing screams, "fall" more than apple picking...HELLO! I'm the most basic girl ever, but every fall I have to visit the orchard for crispy Macintosh apples, cider, and a photo opp, of course :) I'm really excited to do this as a family in a few weeks because I think Lo will love picking her own apples and then baking something special at home together. There are so many beautiful orchards in the Greater Boston area - you should definitely check one out this fall season! 5. Hit your favorite bakery. Fall isn’t complete without pumpkin-spiced everything! Visit your local bakery to get a special fall-inspired treat. Find the nearest playground, enjoy your goodies then run around together. 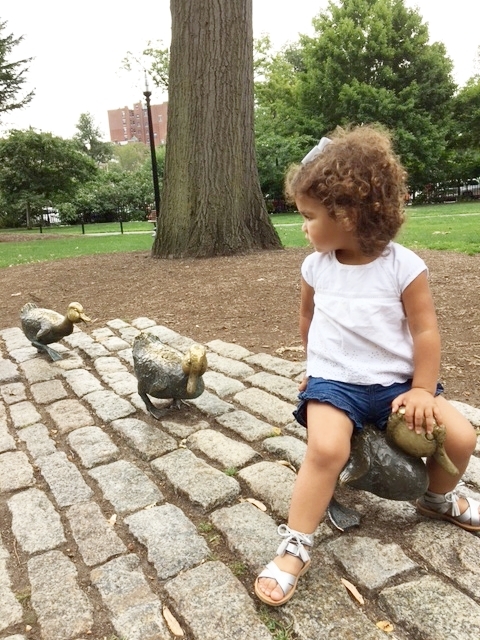 If you're looking for a great playground, the Esplanade has a nice one with beautiful views of the Charles River. 7. Bring your music-loving child to one of the MANY festivals. Throughout the month of September, numerous towns around Boston host "porch fest," where people perform mini concerts on their porches. Visit Davis Square in Somerville the first weekend of October for a free music and dance festival your kids will LOVE! There are so many more multicultural events so make sure to check your town calendar. 8. Visit the Pumpkin Float at Frog Pond. This event is so budget-friendly that it's FREE! Bring your own carved pumpkin and the staff will illuminate it then float it on the pond with hundreds of others. It's so beautiful to see them all lit up! There are also refreshments, music and other fun activities along the pond. 10. Take a trip to the library. These visits are a great way to Develop and nurture your child's love of reading at a young age! The Boston Public Library is an amazing resource for your family, offering free "nursery rhyme time" and a beautiful space to enjoy books together. I would love to steal some of your ideas for my family to enjoy this season! What are some of your favorite fall activities? This blog post was brought to you by Fidelity and MEFA. As always, all thoughts and opinions are my own. I hope you’ve all had a wonderful week! We have been battling the annual “change of season” / October sickness that always seems to find our household. I’ve basically been stuck at home with both babies but hoping we can start to venture out again in a few days. When baby number two came along I quickly realized that everything was double the work and double the stress. What was once a simple “coffee run” is now non-existent because it’s MUCH easier to make it at home then pack up two kiddos. Same goes for trips to Target (which used to happen once a week) and even to the grocery store (I now shop online and have them delivered). I’m constantly looking for ways to make mom life easier/smoother and decrease the number of things I have to think about on a daily basis. Enter: Incredibundles which makes life INFINITELY better. Incredibundles offers diaper subscriptions for 3, 6, 9 and 12-month terms! Your order gets sent right to your doorstep or you can choose to gift to another parent. You’ll receive the cutest Announcement Package that comes complete with a reusable box, an adorable and incredibly soft Teddy Bear (pictured below), and the certificate highlighting the subscription you chose! The ordering process is super easy and straight-forward. 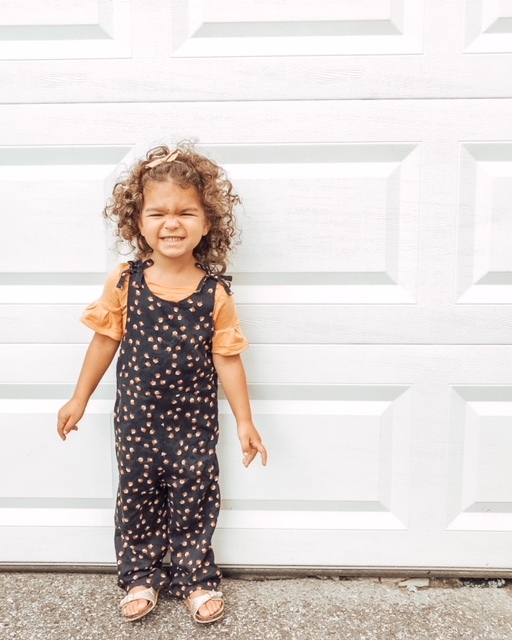 All you do is create an account, choose from a variety of diaper and wipe brands plus the size that you want and they’ll show up at your door like MAGIC :) One less thing to worry about! You can sign into your account and adjust the diaper sizing at any point before the next shipment date as well! This would also be the ultimate gift idea for any baby shower! Trust me…it would be a major hit! I’ve partnered with Incredibundles over on my Instagram (@stylegraceandlace) for an amazing GIVEAWAY to gift one LUCKY parent a 3-month diaper subscription! That’s right…receive diapers to your doorstep for FREE, three straight months. To enter, click my IG username above and to learn more about Incredibundles, click here! She loves to lay on her play mat and watch her star toy light up. The baby Bjorn bouncer is great for right after she eats - because I like to keep her semi-upright. The seat is at an incline and has a toy bar too; she just stares at it for now, but I’m sure she’ll be actually playing with it before we know it :) Basically when she’s awake (usually anywhere from 60-90 minutes), I rotate her between the play mat, Bjorn bouncer, this Fisher Price seat (under $30!) and her swing! The swing I usually do last and she fusses to let me know she’s ready for her nap. We bottle feed and right now Malia is eating 5 ounces about every four hours during the day. She wakes just one time to eat in the middle of the night (anywhere from 3:00AM - 4:30AM) and then goes back to sleep until 6:45-7AM. We are currently starting to wean her off of her night feeding because she’ll usually only eat 2 ounces, 3 at most, before her eyes are closed to go back to sleep again! I shared a few books that we love on my Instagram recently; Twelve Hours of Sleep in Twelve Weeks and Newborn 101. The second book actually starts from pregnancy so there’s a wealth of info in there. The Twelve Hours book is mostly about feeding/sleeping. We suggest both to all of our friends who have kids :) One big thing that happened this month is Malia starting putting herself to sleep at bedtime. We feed her, kiss her goodnight and put her sound machine on…place her in her crib awake and she goes to sleep on her own. It’s pretty amazing. She has a 7PM bedtime and it gives me 30-45 minutes to be one-on-one with London - which I thoroughly enjoy. I love being able to catch up with her before she goes to bed. Nap times for Malia have usually been 8:30 - 9:15AM … then 10AM - 11AM. She’ll eat, play, then be ready to go back down around 12:45PM to take her long nap of the day. She will typically sleep until 3-3:30PM. Again, she’ll wake up to eat, play, then cat-nap from about 5-5:30PM. Those are her naps for the day. After her last nap, I’ll play with her until it’s time for the bath at 6:15pm. Yes, I’m one of those moms that gives her kids baths every. single. night. London’s I may skip here and there depending on how much energy I have (Ha! Energy? What’s that?!) … but Malia gets one every night. I do this partly because I think it is a great “indicator” that it’s time to wind down and prepare for sleep and also because let’s be honest, she’s pooping and peeing in a diaper all day and she needs a good scrub! It’s not lengthy, but 5-10 minutes and we’re in and out! For those wondering if this dries out her skin/scalp. It doesn’t. I lather my babies head to toe in Aveeno and we’ve never had that issue! 7:30AM - 8:30AM - Play time! I've been working on this post for awhile now (like, an embarassing amount of time) and am FINALLY finished! I'm excited to share some of my favorite baby items and "must haves" with you all! Most of these I've tried and used with Lo...and others I've discovered this time around with Malia. Either way - it's to make your life easier and aren't we all here for that?! I know I am! 1. 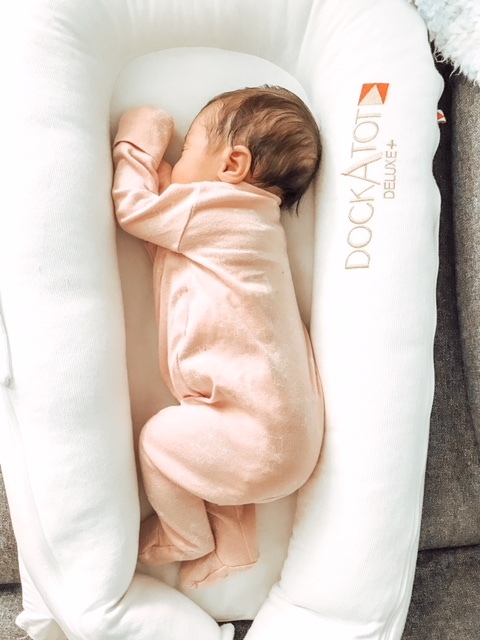 DockATot: For REAL, you need this. It's seriously the most important thing we have for Malia because SLEEP! We put this on our bed and she sleeps between us at night. For naps during the day, she sleeps in this and sleeps 3+ hours most naps. It's wonderful because of how portable it is and easy to just move around the house to whatever room you're in! LOVE LOVE LOVE! Runner up: Lulyboo Baby Lounge To-Go ($59.99) is perfect for co-sleeping safely or travel! 2. Dr. Brown Bottles: This is on the list because I've gotten lots of questions about which bottles we use. We really LOVE Dr. Brown. There's an "anti colic" vent that helps reduce feeding problems. Both London and Malia took very easily to them! 3. Fawn Design: Do yourself a favor and snag one of these backpack diaper bags. Don't even both getting a shoulder bag ... you will definitely always need two hands! 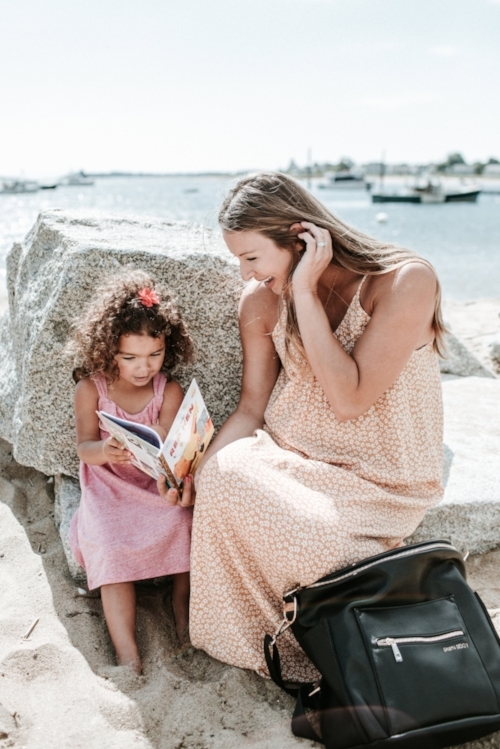 Fawn Design has classic/chic bags that easily fit everything I need when leaving the house with two kiddos! 5. Ergo 360 Carrier: An absolute MUST HAVE. London napped at least once a day in this thing until she was 5 months old! It's super comfortable for both parent and baby. I also love that you can wear your baby four different ways with this carrier and that it's machine washable! This style/color is currently 20% off! Runner Up: Baby Bjorn. 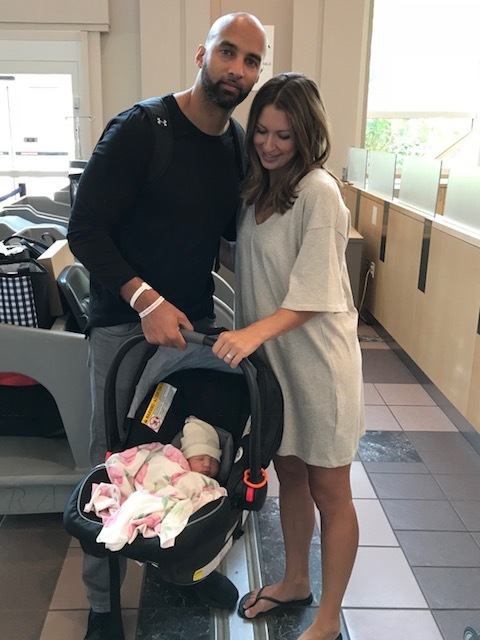 I really like this carrier for when the babies are itty bitty aka newborns :) I use this A LOT these days with Malia but when she gets a bit bigger I'll switch to the Ergo for comfort. I think it's more comfortable with the strap around the lower back! 6. BOB Revolution Flex Duallie Jogging Stroller: Absolutely recommend this stroller! It's worth every penny (I recommend getting a used one - they have them on Amazon!) It's a BEAST of a stroller, with a huge compartment underneath for storage (yes please), the smoothest ride every for your littles, and also - so easy to push with one hand (hard to believe, I know!) I'm so glad we got this stroller! It will definitely make walks/runs much easier! 7. Travel Stroller: BabyZEN YOYO Stroller (pictured below) I am OBSESSED with this stroller. It literally folds and can be carried over your shoulder like a purse - it weighs just 15 lbs. At least one person comments on it when we use it to travel (we have take it to Charleston, SC (twice), Disney twice, and lots of road trips!) It's amazing and I highly recommend! Maclaren Twin Triumph (double): I have done LOTS of research because we have some trips planned with both girls when Malia is 6+ months old and will be sitting up. The Maclaren double stroller has been on every list for the perfect double travel stroller. It's pricey - but I know we will get lots of use out of this! 8. Video Monitor: As far as I'm concerned this is also a must. We have a Motorola monitor and love it. If you plan on having multiples, I recommend getting a monitor that you can "add a camera" too. We just bought another camera for Malia's nursery, but can watch both girls on one screen - so it saves us from having to keep track of two screens which would be very annoying. 9. HoMedics Sound Machine: It's just $16 on Amazon, but it might be one of the most important things you'll purchase! White noise is a must for babies/toddlers! It helps lull them to sleep with the consistent sound and also provides a relaxing environment. We bring it with us when we travel too - it's super compact and just plugs into the wall. We have been using this in London's room since she was 2 months old and Malia has one too! We also use this little butterfly and play the same lullabye for Lo every time she goes down for her nap or at bedtime. Again, super inexpensive but goes a long way! 10. Boon Naked Collapsible Bathtub: This tub is perfect for small spaces! It's collapsible and comes with a hook that you can easily hang on the back of your bathroom door or in your child's bedroom. We love love love this tub! 11. Baby Bjorn Bouncer: This is super lightweight and can be easily moved from room to room - which is very convenient! Malia hasn't been in this much but I think that'll change when she gets a bit older! 12. Best Blanket: Little Giraffe Luxe Baby Blanket. The absolute SOFTEST blanket and worth every penny. It's sooo beautiful! Runner Up: Copper Pearl: They have the prettiest prints and the fabric is stretchy so it's perfect for swaddling! Here is the rose print that we got for Malia! Are there any products that you absolutely couldn't live without? !